Categories: SPECIALTY GLASSWARE, GLASSWARE. Tags: 12oz, glassware, goblet, gold trim, yellow. All of our glassware rentals come in racks of a predetermined quantity. Our 12oz yellow water goblet rentals come in racks of 16. The price you are seeing is the price of one glass. This 12oz yellow goblet with a gold rim is a great addition to your formal dining needs. The ornate textured design on the cup adds elegant character to this glass. The cup has a wide opening, larger than the average wine glass. A goblet is usually the largest of all stemware, which is why they are commonly used for water. 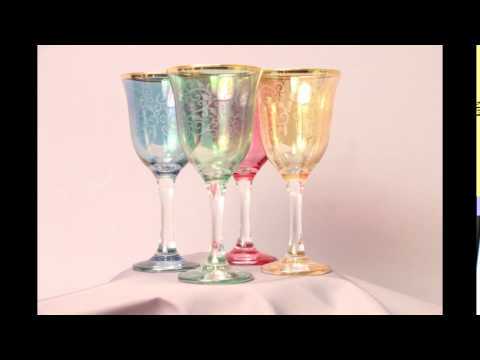 Goblets can also be used for other beverages such as wine or fine liqueurs. A goblet is sometimes referred to as a chalice. This 12oz glass goblet is available in various colors.